Andes Quality manages its enviromental risks through sustainable business by utilizing solar energy as a renewable, non-polluting source of electricity. 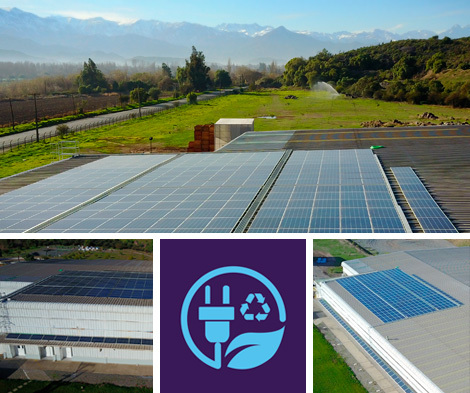 In 2017 Andes Quality installed a 100 kW energy plant consisting of solar panels on the roof of the facility. This installation allows Andes Quality to meet the most strict international standards regarding sustainability. The geographical advantages of the Aconcagua Valley allow for the best solar electricity production in the proximity of Santiago. The installation will generate 227 MWh per year and save up to 175 tons of CO2 annually.